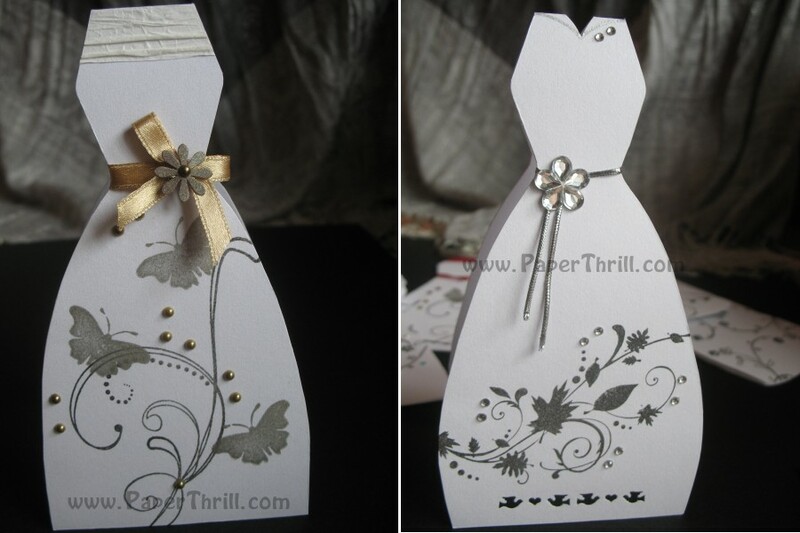 We had a lot of fun creating this card. Our client wanted dress cards for her girlfriends to celebrate their years of friendship together. 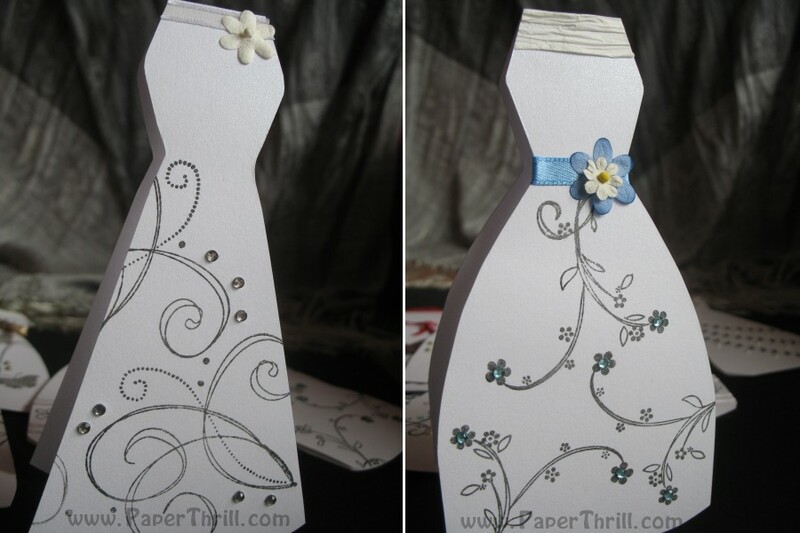 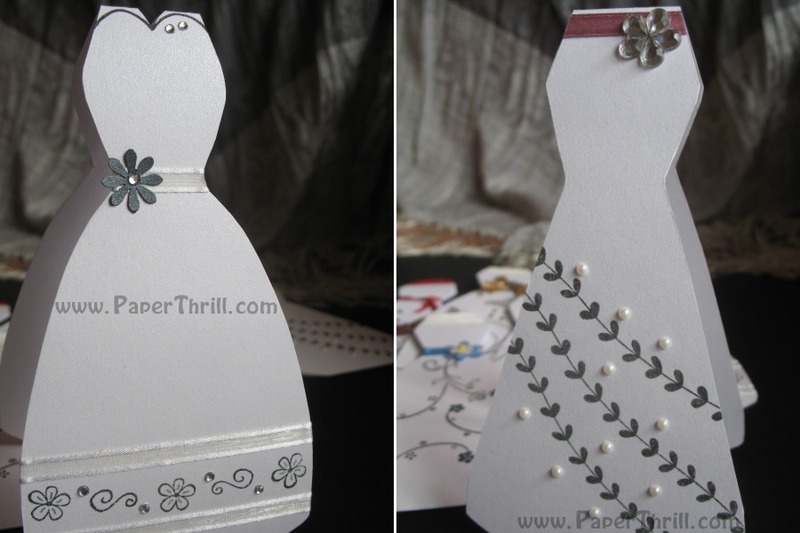 We came up with this collection of handmade cards, consisting of 12 elegant and uniquely classy dress card. Each card exudes a different feel - dazzling, cute and sweet, nature loving, elegantly pink, oriental, vintage delight, bold, elegant and classy. 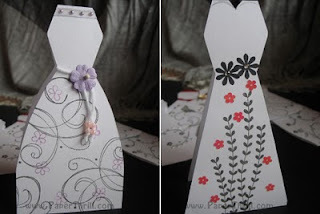 The dresses are mainly in white and black, with some sporting a hint of colour. Different types of embellishments were used to jazz up the dresses. 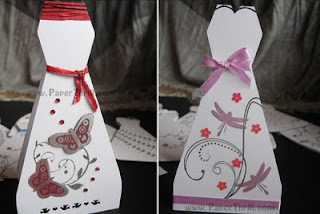 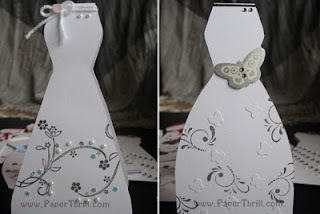 These handmade dress cards are perfect for bridal showers, bridesmaids card, birthdays, girlfriends' rebonding/reunion nite, or simply to celebrate a treasured friendship with your girlfriends. 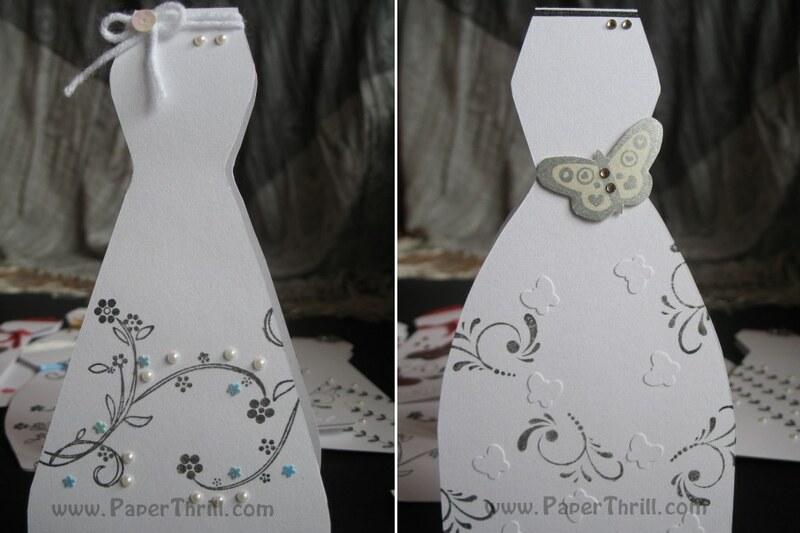 Imagine your friends' gleeful reaction upon receiving this handmade card!